Claire is married to Nigel and a managing director within the business. 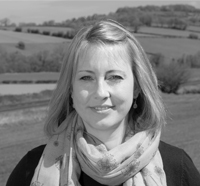 A horse owner and graduate of an Equine Business Degree course, Claire is passionate about the appropriate care of horses both from a horse owners and a farriery business perspective. Claire’s own business, Forge PR, offers a freelance public relations and marketing service to a variety of businesses both within and outside the farriery and equine industry. Together, with Nigel, they launched – Forge & Farrier – an online information resource for farriers in the UK which was voted ‘Best Farrier-Focused Information Resource in Europe’ in 2016. 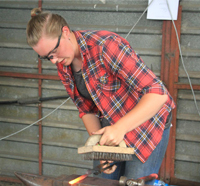 Emily joined us in July 2017 following a very successful completion of the Pre-Farrier Course at Hereford & Ludlow College where she gained a Distinction and won the Outstanding Student Award! Emily has already demonstrated considerable talent in the forge in addition to displaying excellent horse handling skills. We are very much looking forward to seeing her progress. 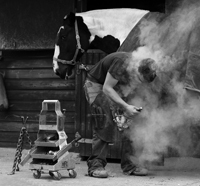 Harry joined us at the age of 16 following successful completion of the Pre-Farrier Course at Herefordshire College. Despite not having a background with horses, Harry chose to pursue a career in farriery as he has a talent for metalwork and enjoys and is experienced in handling farm animals. Harry has shown himself to be quiet and confident in handling the most quirky of horses and is proving to be a mature and talented farrier with a natural eye for shoeing. 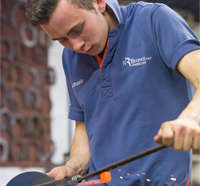 Harry has done well in farriery competitions and has represented Wales on the Apprentice and Senior Farrier Teams. Harry qualified with great results in July 2011. His apprenticeship period officially completed on 31st August 2011. Harry continues to work for us on a freelance basis part-time. Harry is working towards gaining his Associate examination. Outside working hours Harry enjoys being outdoors and throwing himself down mountains on his bike! Alistair not only demonstrates considerable practical talent but is hard-working and committed to his chosen carer. He has achieved many wins at farriery competitions across the UK and has been a frequent member of the Welsh Apprentice Farriery Team. Alistair is a keen sportsman, enjoys socialising and has developed his interest in farriery through his family’s involvement in horses. Alistair qualifed in November 2017 and will continue to be a member of the N R Brown Farriers team on a part time basis.